The French have often mocked the British for eating oats. Their point of view, according to one report, is that "horses eat oats; the French eat horses". It is true, horse meat is served in many parts of Europe instead of beef. Perhaps the lowly reputation of oats is the reason many people will not eat oatmeal. Oatmeal is used as a filler in black pudding (principal ingredient: congealed pig's blood) and haggis (principal ingredient: offal). Oatmeal (i.e. ground oats) is commonly boiled in water and flavoured with salt in Scotland. 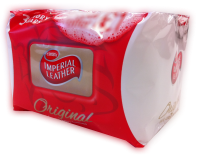 In England it is boiled with milk and water and sweetened with sugar. On both sides of Hadrian's Wall that dish is known as porridge and is either loved or hated. If it is made sufficiently thin it is called "gruel" and then it really is hated. Oats are a very nutritious cereal. Cooked oatmeal is a complex carbohydrate that fuels young growing bodies without the detrimental effects of sugary prepared cereals from the supermarket. Commercially prepared oatmeal cookies are one of the best selling items at Blighty's Tuck Stores (McVities Hobnobs), so many people must be consuming their daily oatmeal without even realizing what they are eating! 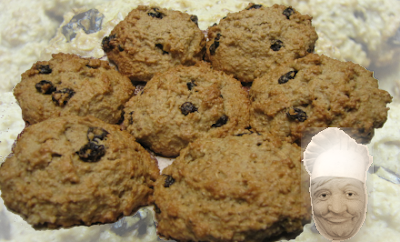 I thought it would be fun to make my own oatmeal cookies; here is how I did it. This recipe is so quick and easy to make and even better still, you can bake a whole plate full of fat, delicious cookies for less than the cost of a pack of Hobnobs. You can even feed them to your horses if you wish.